If there is something that every hunting loving man should own besides the rifle, it has to be the waterproof tweed suits. The tweed fabric can hold water we know, but that would still make it difficult to wade through waist high water or even seem unfit to walk through brambles. 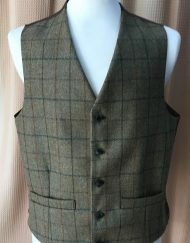 Thus, the waterproof tweed suits are perfect and you shall pick them up from UK Tweed Jackets. The waterproof suits possess a waterproofing layer on the surface that prevents water to enter the fabric. 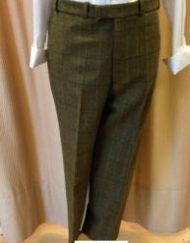 These suits are not bulky and they are just comfortable while also providing the needed warmth that tweed fabric shall always provide. 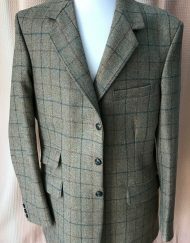 The waterproof tweed suits come with big pockets for the wearer to carry things needed for his shooting expedition. The fabric is easy to roll up and so walking through wet marshy lands does not mean letting the trouser bottoms get dirty. The waterproof tweed are fine to slip inside the socks or even for rolling up. These waterproof suits from UK Tweed Jackets come in a host of colors that help the wearer to blend in with nature and make them typically suited for shooting.